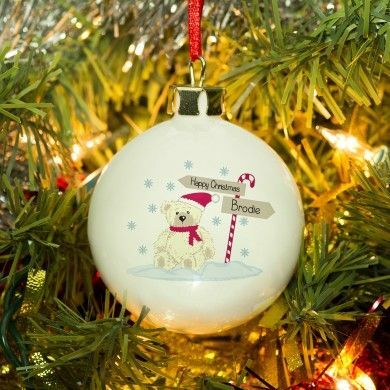 The magic of Christmas can always be treasured with this adorable Teddy and candy cane bauble. Perfect for the little one that arrived within the last year, or someone a little older. 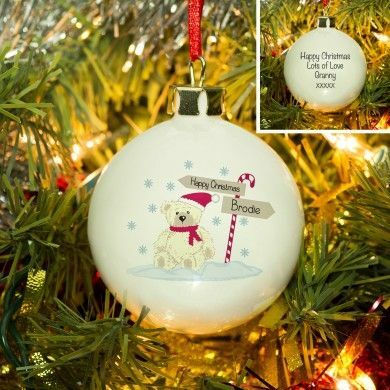 As they grows this gift will become a lasting reminder of the magic of Christmas and keep them in the cute spirit for years to come. 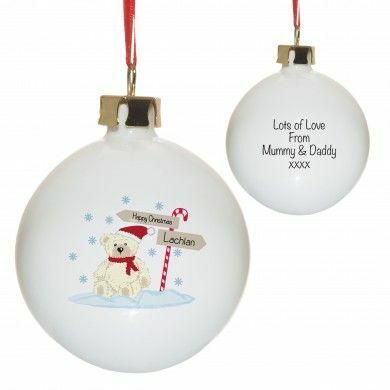 A ceramic bauble with gilt clasp finished with a cute red ribbon, ready to hang on the tree.